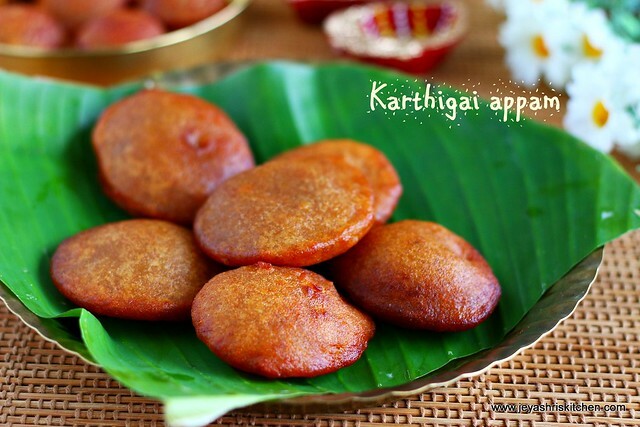 I actually wanted to post Vella adai recipe(will post tomorrow ) but while i was talking to my sister we both were casually sharing the memories about the Karthigai sweet appam which my mom makes for Karthigai deepam. Also she makes it for Janmashtami too. Then only i realised i haven't posted it here. 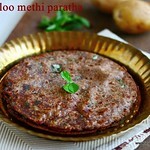 I have posted the wheat appam recipe, the same one she will deep fry. 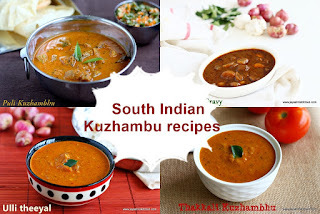 As we used to gobble it when amma makes it. 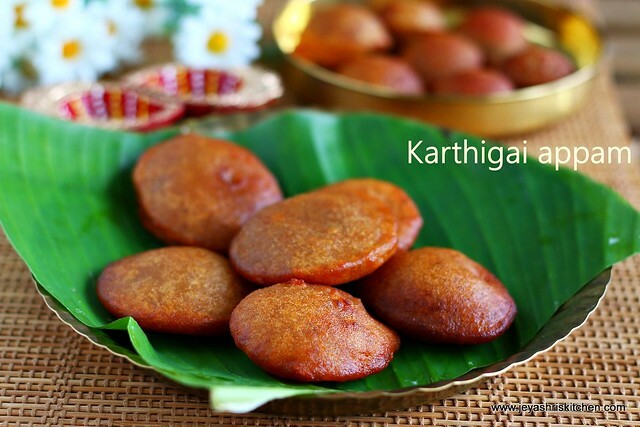 As i am not a big sweet lover, during my childhood days, especially all jaggery based sweets i hate, i love sweet appam one very much. The entire house filled with lights, we all wearing pattu pavadai, amma making appam wearing the traditional 9 yards saree and wearing all the traditional jewellery, this appam reminded me of all special moments. 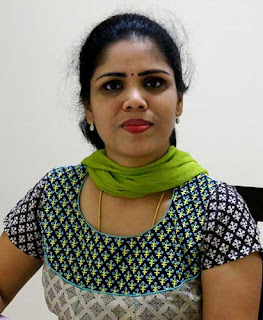 Being a nurse, by profession, she can't wear bright and big nose rings daily, so she wears only during the festival. And she look very beautiful in that traditional costume and the jewellery. So always Karthigai deepam reminds me of this scene in our house in Madurai. 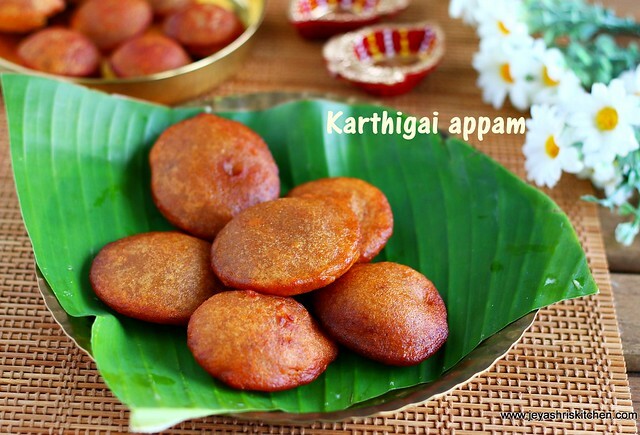 Let me share the recipe of Karthigai sweet appam today. 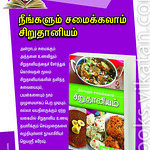 Check the Karthigai Deepam collections . 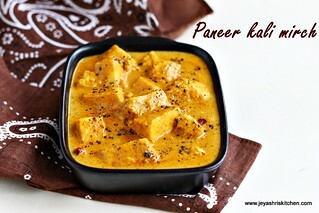 In a pan add jaggery and add 1/4 cup of water. Let it boil and the jaggery gets dissolved. 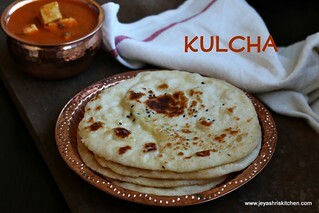 Filter the impurities and and the jaggery water again to the pan. 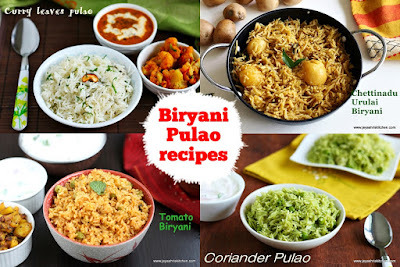 In a pan add the wheat flour, rice flour, coconut and cardamom powder. Let the jaggery syrup boil for 3-4 minutes in a low flame. Puree the banana in the mixer into a fine paste. Add jaggery water and banana puree to the flour mixture. Mix well, add water to get the right consistency. 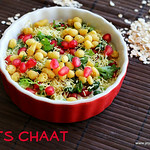 Add ghee to this and mix well. 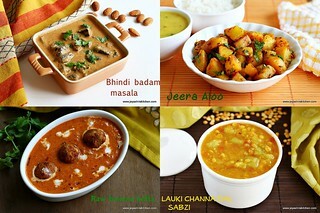 The batter consistency should be little thinner than the idli batter and little thicker than dosa batter. Heat oil in a pan for deep frying. Take a small size deep ladle and take the batter in that. Pour this carefully into the oil. Always pour one at at time. Do not pour more than one. After putting into the oil, the appam will rise slowly and will be fluffy too. Flip on the on the other side. Once it is cooked on both sides .take it out and drain them in a kitchen towel. The appam tastes good when they are hot and also the when they are eaten after few hours. The next day it tastes even more nice. If you want you can add 2 more tblsp of jaggery too. I found 1/2 cup perfect. 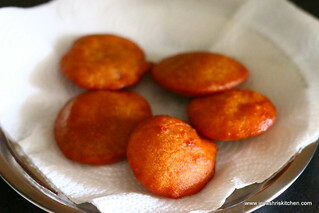 Do not keep the batter so thick, else the appams will be very hard after frying. If you are not adding banana, add a pinch of cooking soda to the batter. Can be made in panniyaram satti too? Right Jai! Keep going, all the best. Kindly add a heading as tips corner. Me too have the same qn. Traditional way of doing this appam is kadai and want to know can we make this in paniyaram pan ? Nice recipe. Will try and let u know. Whenever I try to deep fry appam it doesn't come fluffy. It is more like a thattai thin and crispy. But it turns out well in paniyaram pan. Why it happens so?? Oh is it, not sure why it happens, i tried both version in the batter, you cna see behind the pictures too. Both turned out well only. But will update here once i come across the reason for that. Sweet appam came out very well. Its fluffy and can feel crisp n outer layer. But its little oilly. Y? I think the batter may be bit watery. Nex time if you feel so, add 1 tsp of rice flour to the batter and make. But this will slightly observe oil. but not too much.